City Summer House is an awesome pop up summer venue ideal for groups of 150 to 450 guests. 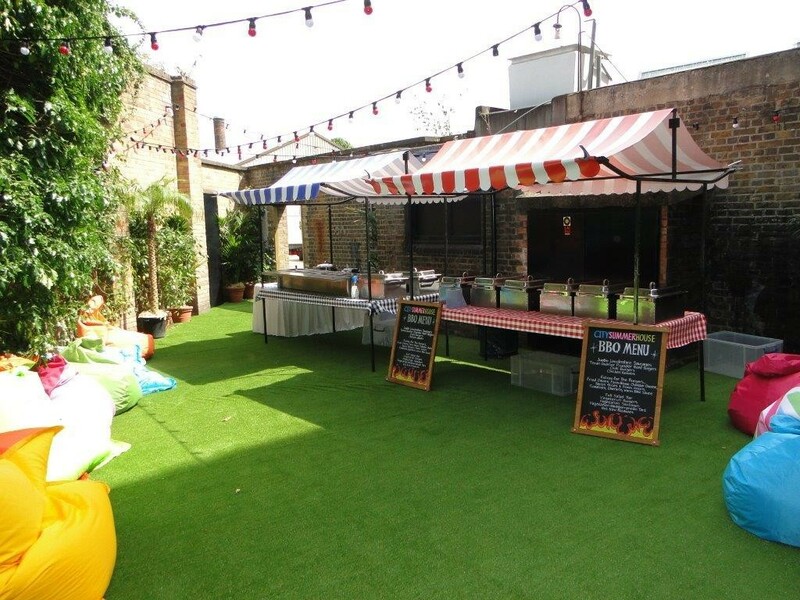 This fabulous summer venue features indoor and outdoor bars, an outdoor covered garden area, flexible catering options such as bbq’s, hog roasts and paella’s and unlimited drinks packages available. Entertainment options at The City Summer House include table tennis tables, table football, fun fair stalls, photobooth, arcade, candy floss cart, popcorn cart plus disco and dj. The City Summer House is a fun, festival feel corporate summer party venue with amazing packages available to make this event your own!